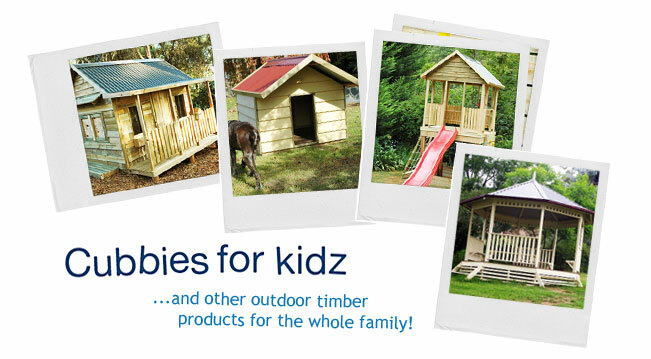 Kidzone Cubbies provides quality timber cubbies, pet houses, wooden garden sheds and gazebos for the ones you love, at a price you can afford. At Kidzone Cubbies we take pride in designing and building our timber cubbies, pet houses, sheds and gazebos to generate years of fun and comfort for the ones you love. With a full range of styles and sizes to choose from, you will readily find a wooden cubby, pet house, gazebo or shed to delight you, as well as fitting into your budget. Our entire range of cubby and pet houses, gazebos and sheds are available in kit form to allow for easy construction by the home handyman, or we can undertake the complete installation for you. Our total range is built to last and is visually appealing. So no matter whether you are in Sydney, Brisbane, Canberra or an out of the way town in the eastern states, please contact us on 0425 787 358 or via our contact page to receive a no obligation free quote. Kidzone Cubbies is a quality focused company and we provide a warranty on all our products. We manufacture them to be structurally sound and durable, with quality workmanship and stringent production control. Our entire range of wooden cubbies, pet houses, gazebos and sheds are built using the highest quality components available. Our intention at Kidzone Cubbies is not only to supply you the best quality wooden cubby, pet house shed or gazebo possible, but also the safest. Not only are they built to rigorous standards, we provide easy to follow assembly instructions and all of the fittings and fixtures required to assemble, to ensure the cubby, pet house, gazebo or shed is erected safely and structurally sound, to last for years to come. Kidzone Cubbies only uses ACQ or LOSP – arsenic free – treated pine in the construction of your cubby or pet house. The safety of your child is critical and always at the forefront of our minds and we want you to know that they are safe whilst playing in one of our wooden cubby houses. The Team at Kidzone Cubbies.